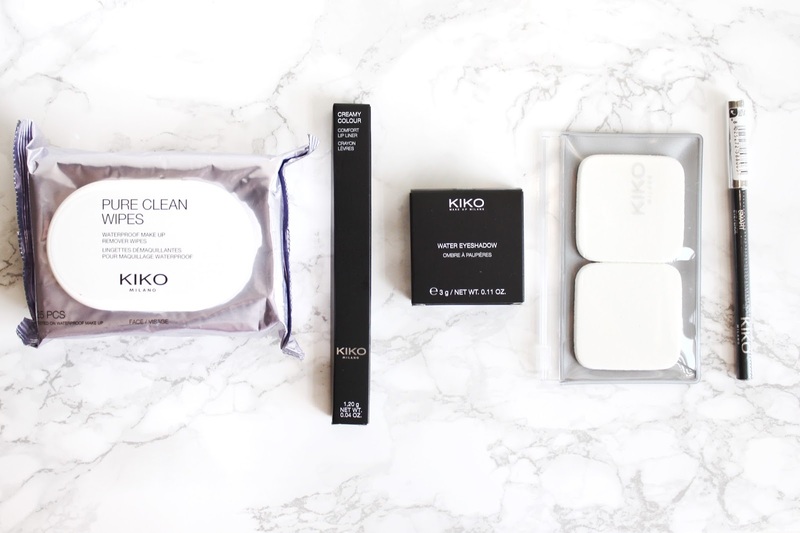 Everything in Kiko is just so gorgeous, sleek, and most importantly; affordable. On my most recent London trip I ended up walking away with an eye pencil, a lip pencil, an eyeshadow, a duo of makeup sponges and some makeup wipes. 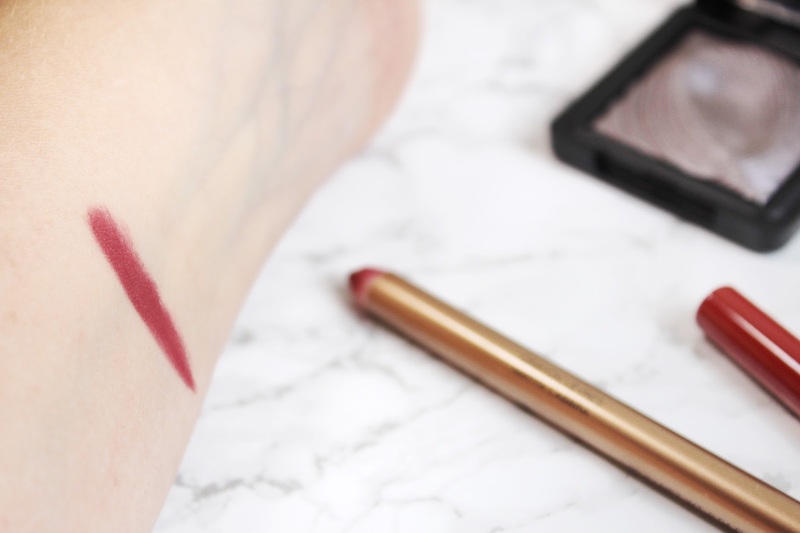 Creamy Colour Lip Liner 304 (£5.90) - I was a little bit disappointed with this product, which is a shame because I absolutely adore this colour, it is just so deep and pigmented. It is also the perfect reddy/pink for me and compliments my complexion so well. However, I found a couple of hours after application it was breaking up and going really cakey. I like to wear lip liners as a solid block colour on my lips, purely because they last that little bit longer. I will give it another go, although, if it does it again I will possibly retire it as an all over matte lip colour and just use it as a liner. I think it would be the perfect match for MAC's Russian Red. Silver linings. 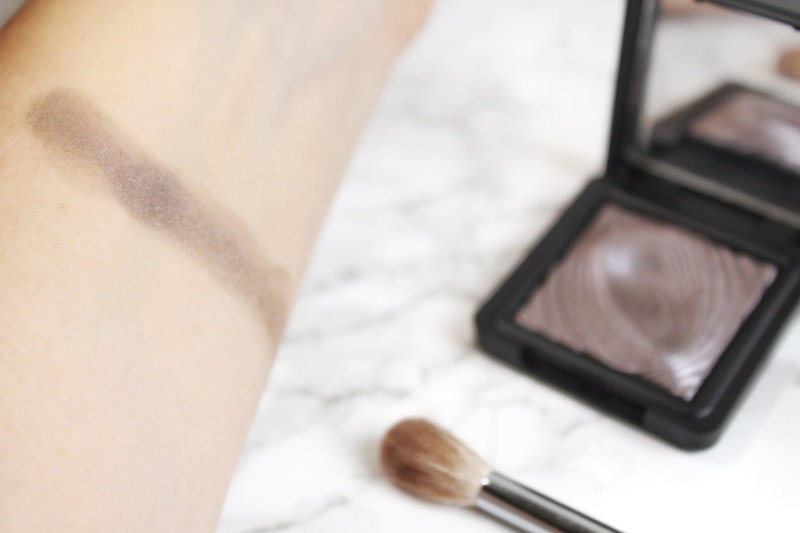 Water Eyeshadow 228 (£8.90) - This has to be my favourite product out of the lot. It is so pigmented, and looks just like liquid when you first open it. I was so reluctant to use it just because it is so amazingly beautiful. Suffice to say I did end up using it as you can clearly see from the picture! It applies really well and so smoothly. 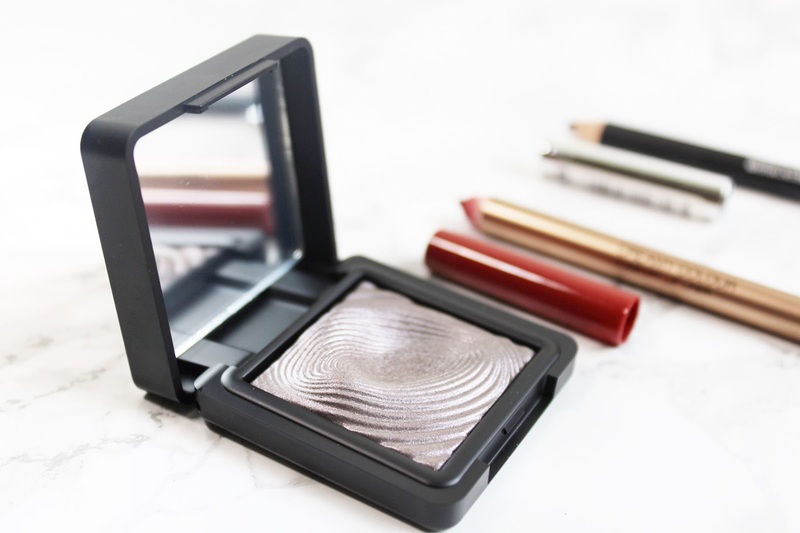 It looks so pretty as a solid block lid colour, but it can also be built up and used in the outer corners of your eyes as the darker shade for a more emphasised and dramatic look. Smart Eye Pencil 802 (£2.50) - I have been meaning to buy a brown eyeliner for so long. It is a lot less harsh than black, and is kind of perfect for a more laid back, more work friendly makeup look. It can also be worn smudged and it doesn't look too messy? I like to use this on my lash line and even on my waterline some days. 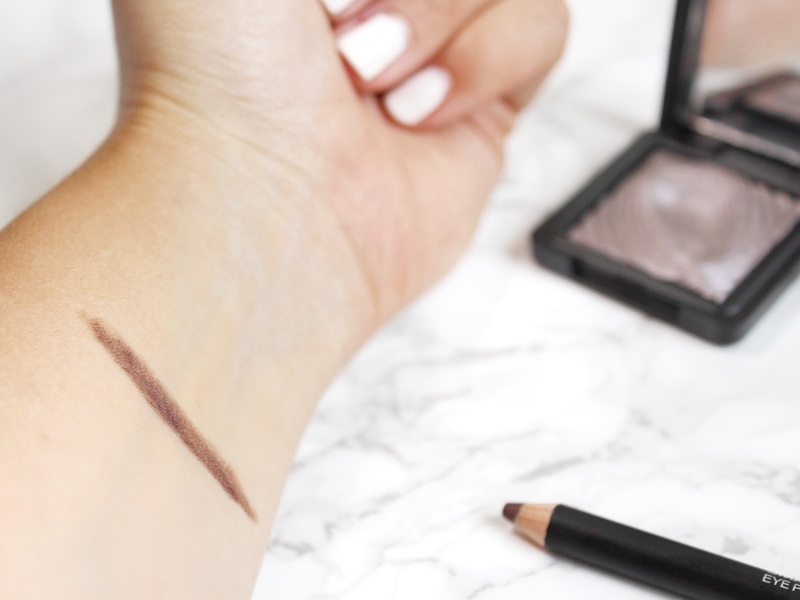 It has a very subtle shimmer to it that gives a little something extra to my eye makeup. Pure Clean Wipes (£5.90) - These weren't exactly a planned purchase. I was actually running really low on wipes back home and instead of just picking some up in my local Boots I thought I would give these a go. The formula contains avocado oil and also removes waterproof makeup. Foundation Sponges (£2.90) - I actually bought these for my pressed powder as I wanted something a bit more compact than carrying around a makeup brush. I love them and they are such a good price and quality. And that's it. So far I am pretty impressed. What else can you recommend from Kiko?